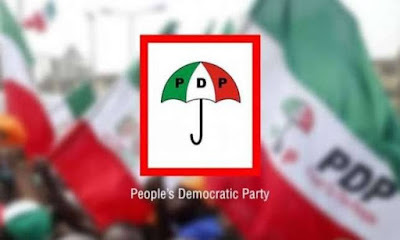 Contrary to publication by the Independent National Electoral Commission (INEC) yesterday, the Peoples Democratic Party, PDP in Kwara State has clarified that Dr Rafiu Adebayo Ibrahim remains its candidate for the Kwara South senatorial election. "Consequently, when Governor Ahmed voluntarily withdraw from the race, the State Chapter of the PDP immediately nominated Senator Rafiu Ibrahim and informed the national leadership of the party about the development. "In compliance with the provision of the electoral act, the national headquarters of the PDP duly notified INEC of Governor Ahmed's withdrawal and his subsequent replacement with Senator Rafiu Ibrahim, which was within the stipulated time frame. "We are, therefore, suprised by INEC's erroneous publication of Governor Ahmed's name as our party's Kwara South senatorial candidate as against Senator Rafiu Ibrahim. "However, we believe that INEC as a responsible and responsive agency will quickly effect the needed correction to avoid contradictions that can create unnecessary tension within the polity. "All our party members, supporters and the general public should, by this clarification, know that Senator Rafiu Ibrahim remains PDP flagbearer for the Kwara South senatorial election. There is absolutely no cause for alarm."